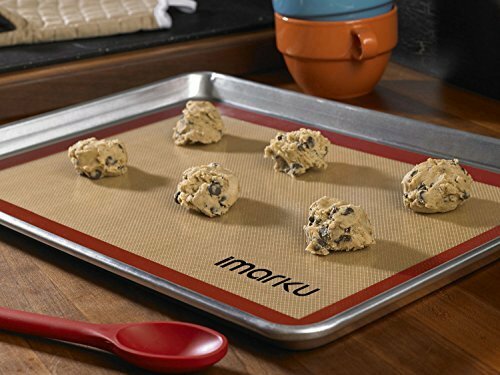 Line your cookie or homemade bread with this ingenious mat so food won't stick. 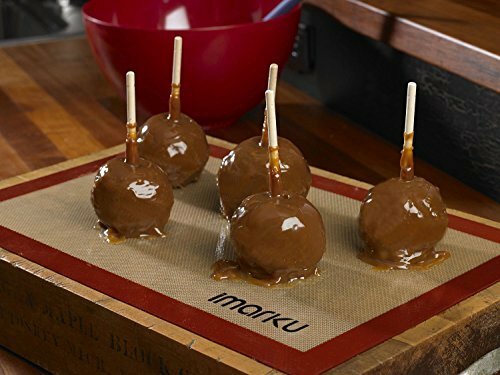 Turns any area into a non-stick surface. Use with nylon utensils only. 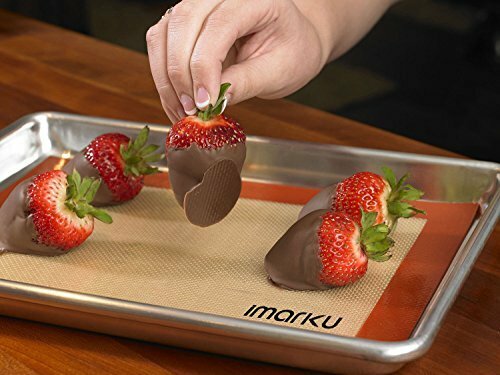 The baking mat is produced from food grade silicone, and is made from FDA and LFGB approved materials. 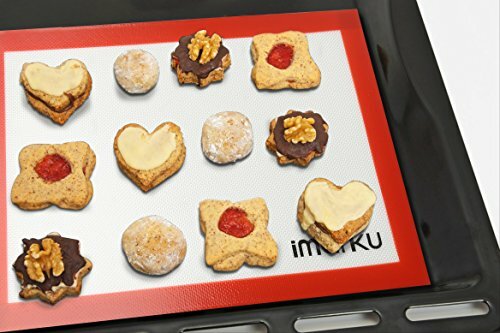 This versatile silicone mat set can be used in the oven, microwave, toaster oven and freezer. It can also be used on countertop for all types of dough. It cleans up quickly and easily with just warm water,soap or throw them in dishwasher. STORAGE:Lie Flat or roll up. Clean up:Just use warm soap water and air dry or wipe with dry cloth. Temperature:can be used in temperature -40 to 250 Degrees C (-40 degree F-480 degree F). Non-stick: Nothing sticks even after many times of uses. 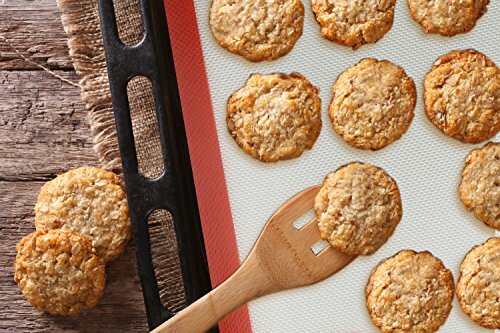 SAVE MONEY:No oil ,sprays and Parchment Paper needed. 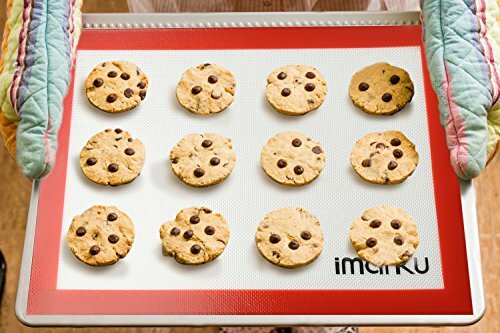 Ideal for rolling out preparing and baking cookies, chicken,...etc. * Fastest shipping: We offer top quality products with the on amazon! you will get our product in about 2-5 days. * 0 Risk To Try: There is 0 risk to try. If you do not absolutely like our chef knife, just return it. we will send the full refund to you no reason. As Thank To Try. Safe and certified - Certified as safe by the FDA regulations and LFGB. 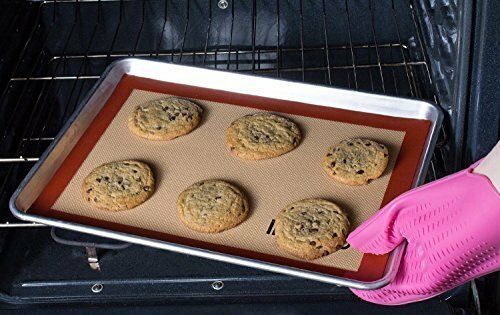 Cook evenly - Provides outstanding heat conductivity, make sure every item is cooked evenly, no more burnt edges or uncooked parts!, nontoxic and harmless, no peculiar smell. Freeze or bake with it - suitable for oven, microwave or refrigerator, Can be used at temperatures varying from -40 degree F-480 degree F (-40 to 250 Degrees C). Store easily - Flexible silicone material can be rolled up and stored in small spaces. 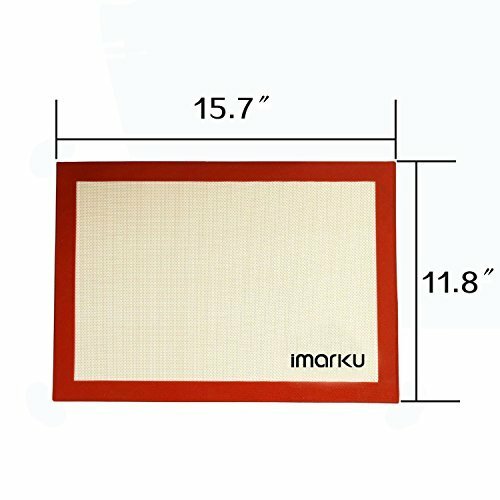 Durable and easy to clean - Simply wipe them off by using hot water and dish soap, these mats will be ready to be used again, made of grade silicone and glass fiber ,can be reused for thousands of times, almost up to 2000-3000 times. 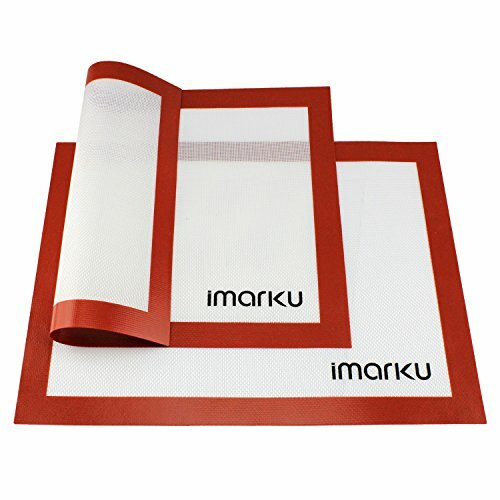 If you have any questions about this product by iMarku, contact us by completing and submitting the form below. If you are looking for a specif part number, please include it with your message.